(Newser) – It was a co-worker's going-away party, but a Michigan woman ended up losing her job. The unnamed 47-year-old's employer, MMI Engineered Solutions, got a tip that the Adrian woman intended to bring laxative-laced brownies to her departing colleague's "send-off," as MLive puts it. 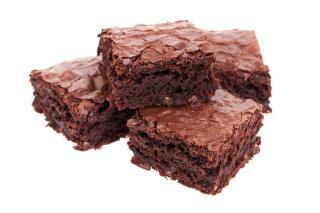 The company seized the brownies before any were eaten and phoned police on May 3. Officers showed up and spoke to the woman, whose denial allegedly changed to an admission once she was told the brownies would be subject to forensic testing. That could've been very shltty. My comment IMO on this story ...Oh Excuse me.....This story gave me the RUNS. I'll be back in 5 minutes. Damn, she sounds more like a 15 year old high school prankster. We actually did that back in the 1980's, didn't get into trouble, and had a good laugh.